Immediately experience a plumping, extreme smoothing action of lines surrounding the lips and the lines running vertically through the lips. Clinical improvement of the lips, scored by a dermatologist. 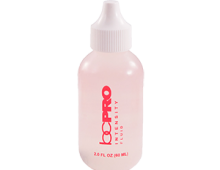 Immediately reduce all lines in and around the lips up to 30% with Palmitoyl Oligopeptides. Nuture your lips with Persea Gratissima (loaded with concentrated Vitamins A, B, D & E) plus Atelocollagen. Upon application, immediately experience a plumping, extreme smoothing action of the lines surrounding the lips with no irritation or burning caused from competitive lip plumpers. Long term use will enhance the volume of your lips up to 350%. Phattenup contains naturally refreshing mint leaf oil and Increases lip moisture levels up to 50% with continued use. Always apply to clean skin and lips. Vigorously massage Phattenup Lip Treatment into the lips and the skin surrounding the entire mouth. Massage in a circular motion for a minimum of 10seconds. The drier your lips, the faster the product will absorb. 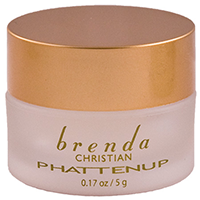 As your lips become healthier, very little Phattenup is required. One small jar can last approximately 3 months with twice daily usage. Beauty Tip: You may apply a bit more Phattenup to the skin surrounding the lips in the evening before sleeping. The refreshing soft mint flavor is a lovely bedtime essential luxury.